George Washington Truett (1867-1944) was the long time pastor of First Baptist Church. He was born on a farm in North Carolina. He and some of his brothers moved to Whitewright, Texas in 1889 where he joined the local Baptist church and shortly thereafter accepted a call to the ministry. He’d been educated at Hayesville Academy in North Carolina and had served as a teacher before coming to Texas and in 1891 accepted a job to serve as financial secretary to Baylor University in Waco, Texas. The school was heavily in debt and Truett is credited with raising $92,000 to pay off Baylor’s entire indebtedness. In 1893, he then enrolled as a student, graduating in 1897 with a bachelor’s (AB) degree. He’d served as a student pastor at East Waco Baptist Church and in September 1897, he accepted the pastorate of First Baptist Church, where he would remain until his death from bone cancer in July 1944. James C. Arnold was born and raised near Wellington, Georgia in 1851 to W. B. and Martha Arnold. He left home to accept work on a farm in Mississippi in 1866. In 1869, he moved to Upshur County, Texas with the son of one of the farm’s owners who operated Camp’s Ferry on the Sabine River. Arnold worked at the Ferry until a year after it was sold in 1871. He then joined a meat contracting company that supplied beef to businesses building the first rail lines from Longview west. From there he moved to Fort Worth to be engaged in the same business, but the railroad suspended operations. He would remain in Fort Worth in the grocery business until moving to Dallas in 1874 where he would briefly work in the meat and hide business until he was hired onto the police force of Dallas. 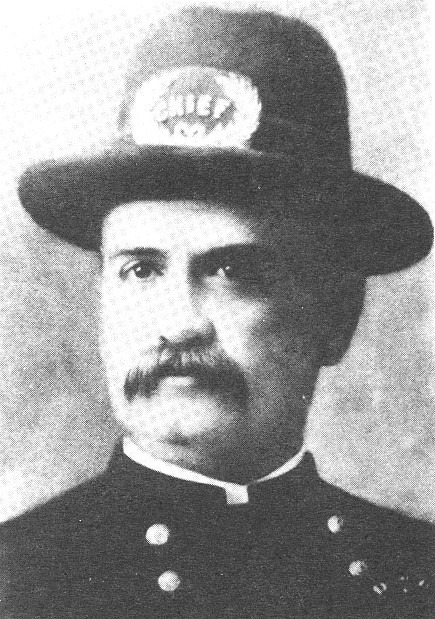 Arnold served as a patrolman until 1879 when he was appointed deputy city marshall. He continued to rise through the ranks until he was elected as Chief in 1881. As chief he was well regarded and was reelected many times. At the time of the accidental shooting, he had been a part of the Dallas police force for 24 years. On February 4, 1898, Truett, Arnold (a member of First Baptist church) and Rev. G. W. Banner set out in a buggy to hunt birds at the invitation of former Sheriff Boyd of Johnson County near Cleburne. In the afternoon, Truett’s shotgun accidentally discharged, hitting Chief Arnold in the leg. Truett and Banner quickly tied off a tourniquet to stop the flow of blood. They were successful in getting Arnold to local Dr. Harris who treated the wound. Satisfied that Chief Arnold could make the trip back to Dallas on the scheduled Santa Fe train, they brought Arnold to his home at 451 Commerce Street. At first, Arnold’s condition appeared to be stable, given the wounds, but they called in a local doctor for a consultation. Arnold was given fluids to compensate for the loss of blood, but late on the afternoon of Feb. 5, he began to decline and he died at his home at about 8 PM that evening. The official cause of death was listed as a heart attack, but Truett blamed himself for the accident and was deeply depressed at the loss of his close friend. 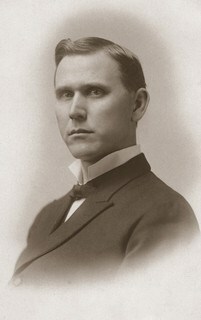 Truett had decided to leave the ministry, but was persuaded by friends and church members to continue, which he ultimately did. Truett would later reveal that he had also received a vision of Jesus standing beside him saying “Be not afraid, George. You are my man from now on.” Truett would go on to serve as pastor of First Baptist for 45 more years before succumbing to cancer. When he was no longer able to preach because of his final illness, he offered to resign, but he was so beloved by the congregation that they refused to accept his resignation. To learn more about Truett, please see George W. Truett: A Biography by Powhatan W. James and Thy Will Be Done: A Biography of George W. Truett by Keith E. Durso.